Thu., Aug. 16, 2018, 2:34 p.m.
PULLMAN – Tim Marrion, who’s been a fixture for the Washington State men’s basketball program under its last two head coaches, has been elevated to assistant coach, the school announced Thursday. Marrion had previously served as the program’s coordinator of basketball operations for the last two seasons. 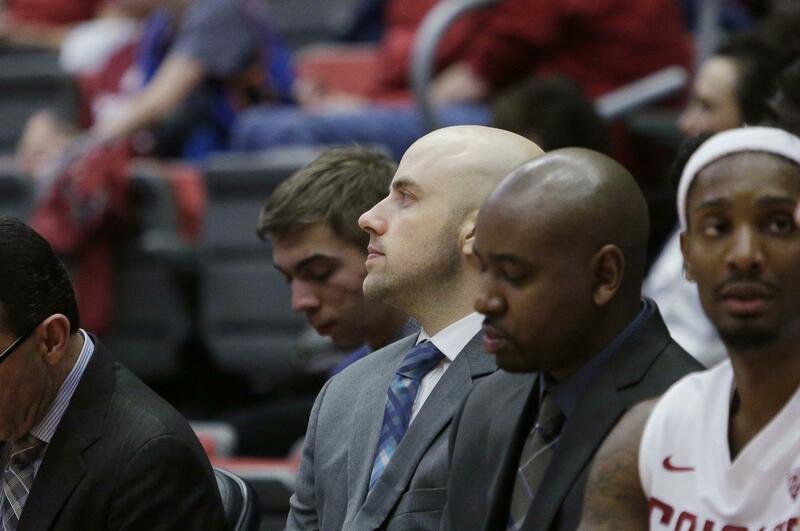 He fills a vacancy left by longtime WSU assistant Curtis Allen, who announced in March he’d accepted a position at Pepperdine, which reunites him with former Washington coach Lorenzo Romar and former WSU coach Ken Bone. Kenny Tripp, the assistant coordinator of basketball operations, will now take over Marrion’s old position. This is Marrion’s third role with the Cougars since 2009 when he was hired to work as the coordinator of operations for Bone until 2012. After leaving for one season to become an assistant coach at San Jose State from 2012-13, Marrion returned to Pullman to serve as Bone’s director of player development. When Bone was fired at the end of the season, Marrion accepted a head coaching position at Clark College in 2014, but it was only a matter of time before his career brought him back to the Palouse. Kent hired Marrion as the coordinator of basketball operations prior to the 2016-17 season, following Marrion’s lone season at the University of Idaho, where he spent one year on Don Verlin’s staff as the director of basketball operations. The other assistants on Kent’s staff, Bennie Seltzer and Ed Haskins, both enter their second season with the Cougars in 2018-19. Published: Aug. 16, 2018, 2:34 p.m.